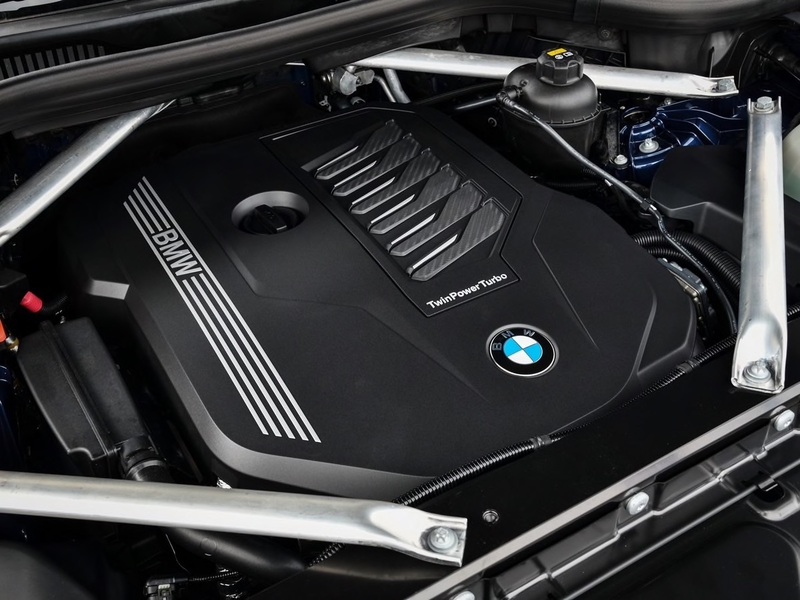 BMW has won 34 Wards 10 Best Engines trophies over the past 25 years (tied with Ford for the all-time lead), and 28 of those awards were for inline 6-cyl. engines. It’s no coincidence that year after year, Munich finds ways to improve the modular inline architecture to deliver unparalleled refinement, high efficiency and effortless revving. In the case of the all-new ’19 X5 crossover, the updated B58 turbo-6 is rated at 340 hp, but it feels like so much more during spirited runs to the redline. The B58 debuted a few years ago and now gets a new cooling system, head, timing chain, oil pump and a forged crankshaft. The block and air induction system have been modified, and the new high-pressure direct-injection fueling system is rated at 5,076 psi (350 bar), up from 3,626 psi (250 bar). Our judges raved about their seat time in the new X5, and nearly all of them topped 20 mpg (11.7 L/100 km), despite heavy-footed testing.